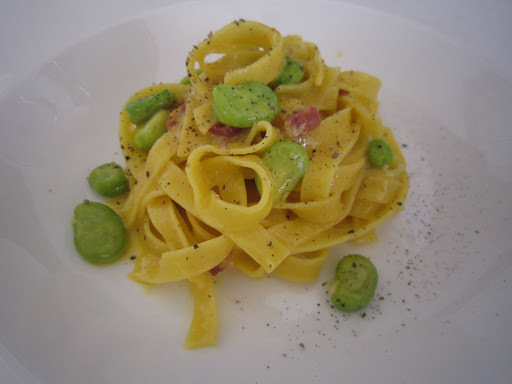 I was craving fava beans so I added them when I made carbonara. I think the くせ(smelliness?) 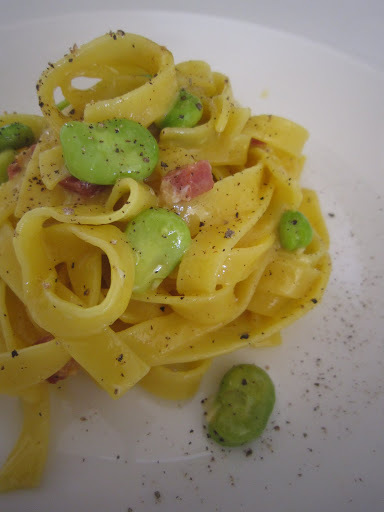 of the favas go very well with pancetta and black pepper. ← Travel Series: Campo de Montealegre, Spain, "Restaurante Fatima"